Ned Lidvall says that, based on their experiences during the two previous economic downturns  the one in the early 90s and the other one, which came after 9/11  most in the restaurant industry entered the current slide thinking their sector was all but recession-proof. Theyve learned, the hard way, that they were dead wrong. 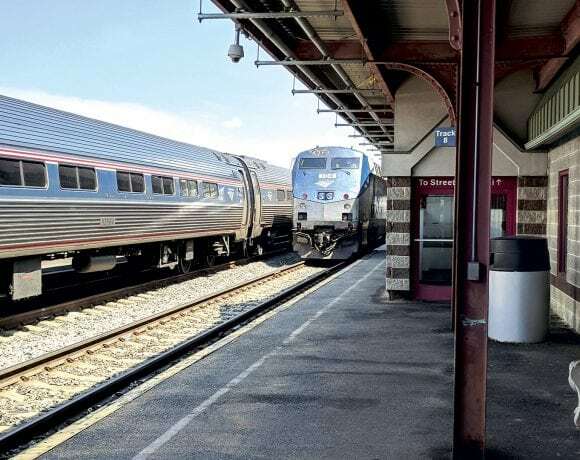 Indeed, across the many categories within this broad industry  including fine dining, casual dining, mid-scale family, as its called, and even fast food  the numbers are down, said Lidvall, president and CEO of Wilbraham-based Friendlys. And the reason is quite simple: people are eating at home more and eating out less. This phenomenon has resulted in more intense competition for fewer restaurant visits, said Lidvall, who arrived at Friendlys roughly a year ago. That means it has also prompted a good deal of introspection and detailed review of how business should be conducted  not merely for the present with the goal of surviving the Great Recession (many restaurants and some chains have not), but also for the future and life after the downturn is over. Thats because Lidvall, for one, is rather confident that when better times return, things will not simply go back to the way they were before. Instead, consumers will likely continue to put a strong emphasis on value, meaning not simply the food on the plate, but the overall experience. 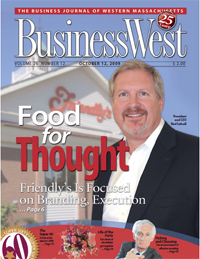 To compete  and potentially thrive  in this environment, restaurants like Friendlys, founded nearly 75 years ago by Curtis and S. Prestley Blake, must find ways to differentiate themselves, and then continually drive home to the consuming public what makes them different, said Lidvall, adding that, with Friendlys, that differentiator is ice cream. The family meal occasion, while declining due to the economic conditions, is still a very relevant occasion in America, he explained. And we have the benefit of what I call a glaring point of difference, and thats one of the things we really search for in our business today. To fully leverage that advantage, Friendlys is focusing on the guest experience, meaning the basics, or what Lidvall, who played football at the University of Kentucky, calls blocking and tackling, gridiron fundamentals and terms that many in business have applied to what they do. Elaborating, Lidvall said its incumbent upon his company to simply execute better. The first of these smaller restaurants opened two months ago in Mansfield, Mass., southwest of Boston. It offers a more condensed menu, with patrons ordering their meals at a window and then waiting, on average, about six minutes for their orders. Some eat on the premesis, but many take their items out. In the first few weeks the first Express was open, before school started, the venue saw a good number of visits from families, which was encouraging, said Lidvall, but more promising was the business from workers looking for a fast lunch  and finding it at a new face on the block. Moving forward, the company plans to chart activity at the Friendlys Express, refine the concept, and expand it (there are no immediate plans to place any in the 413 area code), said Lidvall, adding that the broader assignment is simply for more of that aforementioned blocking and tacking, and positioning the company for the day when the economy improves  and whatever it might bring. 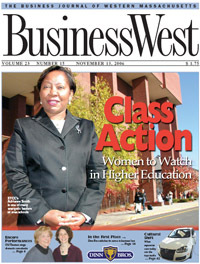 He told BusinessWest that he got the bug soon after graduating from college as a biology major. Not knowing what to do with himself, he took a job at a Steak and Ale restaurant, and has been in food service ever since. Steak and Ale was one of the seminal breeding grounds for restaurant people back then  it sort of invented casual-theme dining, he said, noting that it gave a solid education to those, like himself, who entered its management program. In the realm of casual dining and full-service dining, [founder] Norman Brinker is considered one of the real innovators and one of the real creators, with both Steak and Ale and another chain called Bennigans. I was lucky to get started in a culture that was very educational, Lidvall continued, adding that there have been a number of stops during his 35-year career, the last of which was a 12-year stint running the Colorado-based chain Rock Bottom Restaurants, which has locations in 14 states, including a few in Massachusetts. He was in the process of leaving that corporation and beginning the search for a new opportunity in the industry when he interviewed with Sun Capital Partners, which acquired Friendlys in 2007, for the opportunity to succeed George Condos as president and CEO. I guess the stars kind of aligned, he explained. I had spent my entire career in casual dining, and thought it would be fun and interesting to join a complex, vertically integrated family-dining, mid-scale chain. Explaining that word complex, he said it refers to the number of business units at Friendlys. There are five: manufacturing and distribution, which are both profit centers, as well as a retail component, a franchise division, and 300 company-owned restaurants. This complexity appealed to him, as did the companys life-cycle status, which he said academics would call a realignment. The companys financially healthy, but theres work to do and wood to chop around improving the base business, and I wanted to do that, he explained, adding that word on the street, meaning industry circles, concerning Friendlys was that it was a strong brand that had let its value proposition weaken somewhat. Since arriving, Lidvall and his team have been developing a strategic plan to regain some of that lost ground. And it provides entry into an emerging segment in the industry known as fast casual, or quick casual, a progression that makes sense given the direction in which society is moving. The current leaders in the fast-casual segment are Panera Bread and Chipotle, and Lidvall expects to soon have Friendlys on that short list, based on what hes seeing in Mansfield. There, at a 2,200-square-foot facility (just over half the size of a standard Friendlys restaurant), the company is offering what Lidvall said is the best of its lunch and dinner menus  burgers, salads, and SuperMelt sandwiches  along with a vibrant selection of ice cream and sweet-treat offerings. But it will be just a part of the equation, he continued, noting that Friendlys is still in the traditional full-service food business, and will remain there. And as with the express model, the assignment with the larger restaurants is to continue refining, improving, and growing that segment. Which brings Lidvall back to the recession and how it has prompted all players in this industry to look hard at what they do and how they do it, with an eye toward not simply surviving  although for some, especially those not in Friendlys strong financial position, thats a real challenge  but positioning themselves for what happens next. Overall, its been a long year for most independents and chains, said Lidvall, noting that ice-cream-focused outfits have been hit not only by the downturn, but Mother Nature as well. To not have a 90-degree day in June or July was certainly tough for us, he said. Friendlys has seen its revenues decline, but it is running better than most other players, again because of its diversity, said Lidvall, noting quickly that the current conditions are forcing everyone to ramp up their games. Theres been a marketplace retreat in terms of food eaten away from home since the Great Recession began, he explained. People are simply eating out less. But theres also been a trade-down effect, where people have traded down from full service to quick service. All of that means that you have to become more competitive. And the fight will go on, in earnest, even when it is clear to all that the recession is over, he continued, reiterating his comments about how consumers will not simply open their wallets again. The rebound will come, but people are spending a lot of time talking about how the marketplace is going to be different, because the rebound will not, in my opinion, mean that things will go back to the way they were, he said. I really think that the consumer, in general, will be a lot more value-conscious, and that, in our industry, doesnt just mean price, because we essentially market and sell experiences. His intent was clear. While success in any business has always been about survival of the fittest, that phrase applies especially to the food-service industry, where, by some accounts, 4% to 5% of the nations nearly 1 million restaurants have closed in the past 18 months, with more failures projected. Friendlys is still among those standing, but the goal is not merely survival; instead its about fully leveraging a brand and a differentiator  and gaining a bigger share of the stomach.